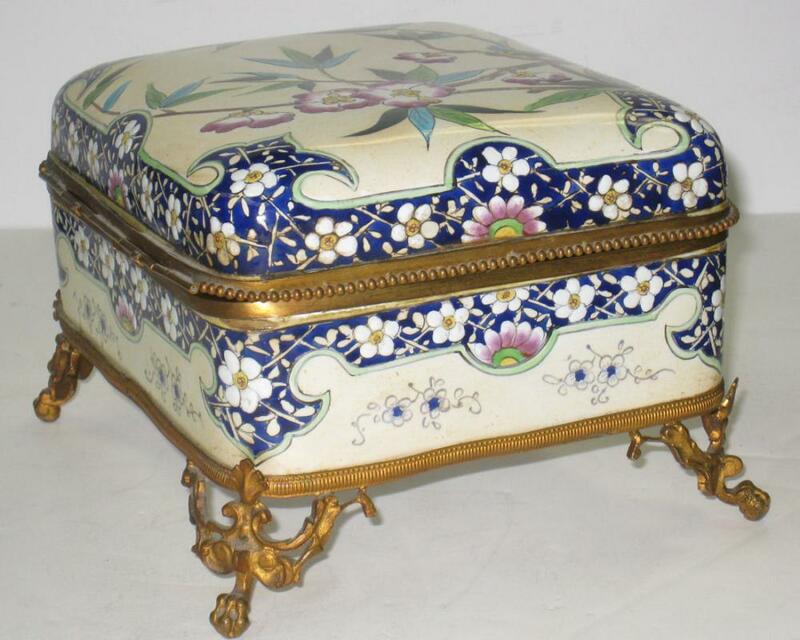 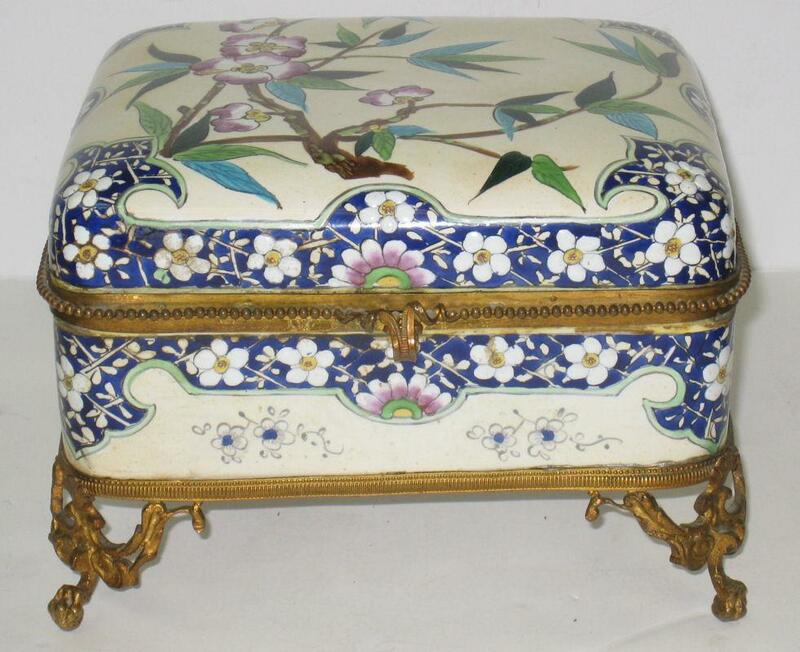 This fine nineteenth century faience pottery box from Creil & Montereau is in good condition. 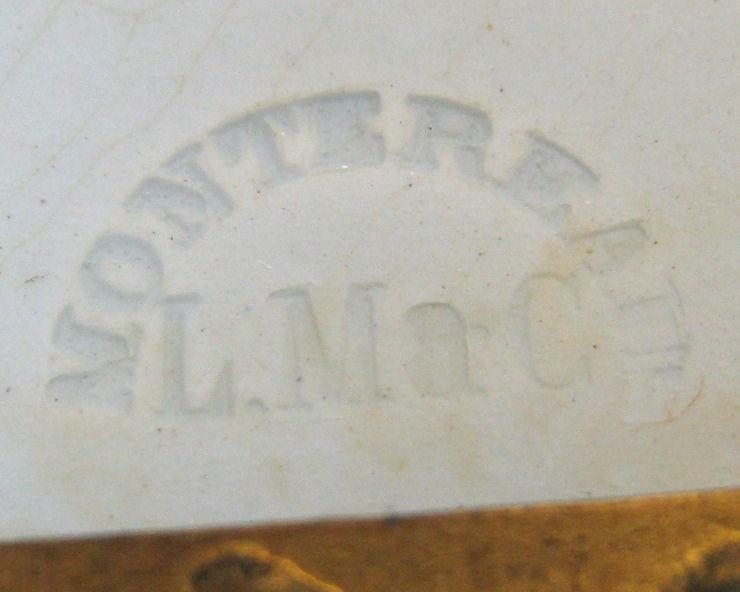 Carries the impressed mark which reads MONTEREAU L.M & C. Measures 7.5 by 5 by 6.6 in (19 by 12.7 by 16.8 cm). 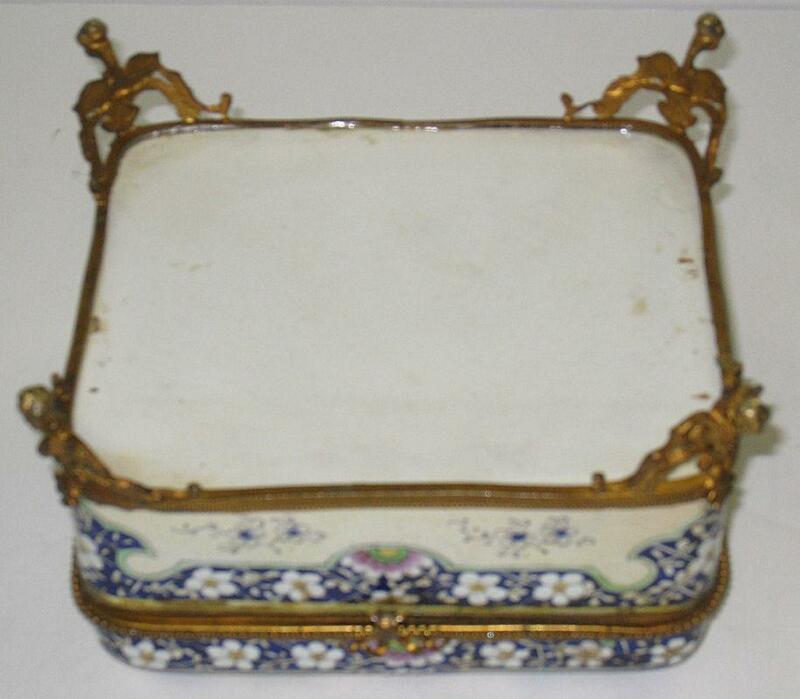 The gilt metal frame has been remounted as evidenced by visible adhesive residue. 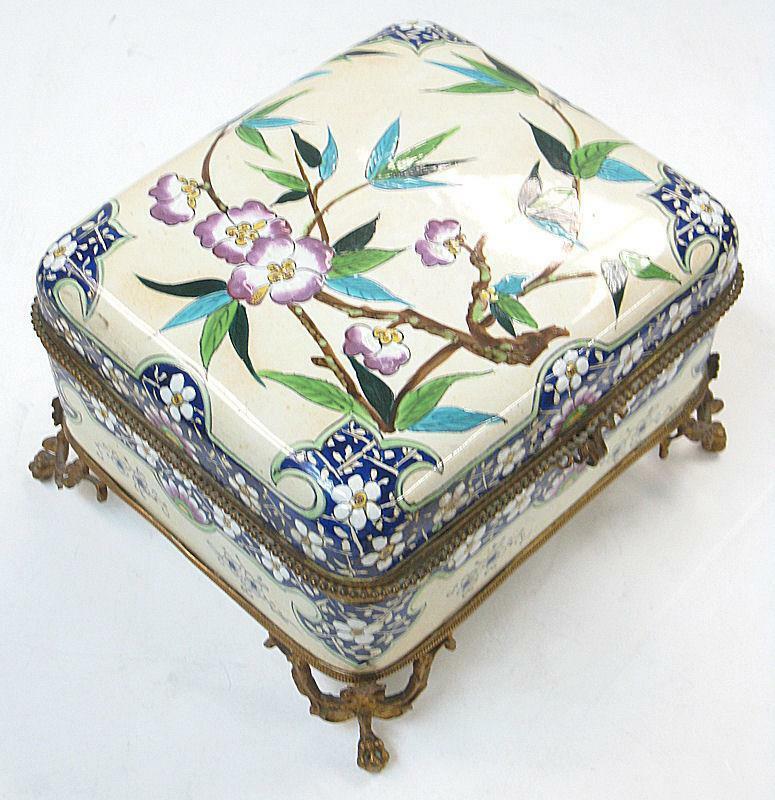 We have not found any cracks or losses. 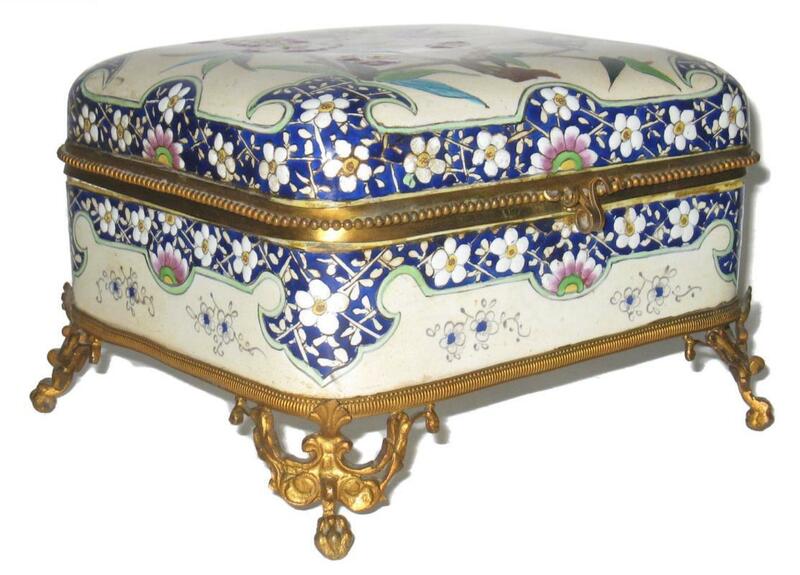 The fitted satin interior is original and its wear shows its age. Its style will compliment any Aesthetic or Arts & Crafts period decor or collection. 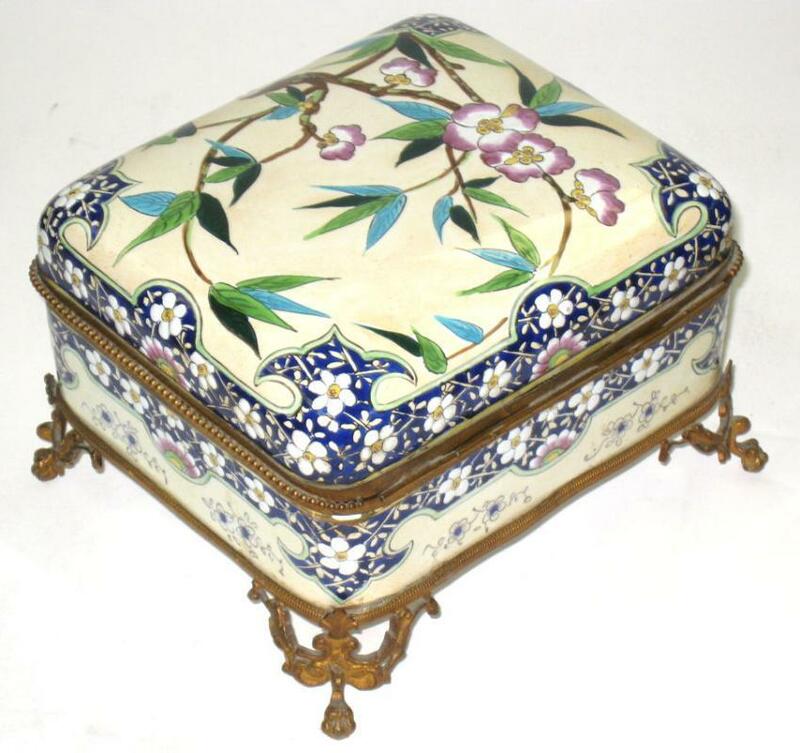 Items Similar To "French Faience Ceramic Bronze Mounted Jewelry Dresser Box from Cr..."